The biggest upside of Tuesday's Election Day is that 113 million people voted — a record for midterms. It's clear to me that this turnout was fueled by President Trump. My first observation, however, is that the ghost of the Brett Kavanaugh Supreme Court hearings hung over many of the Senate races and, as a result, all the Democrats in red states who voted against confirming Kavanaugh lost their races. West Virginia Democrat Joe Manchin won by only 3 percentage points. Pennsylvania U.S. Sen. Pat Toomey endorsed the idea on my radio show on Wednesday that Manchin might have lost if he did not vote to confirm Kavanaugh. Toomey and I also talked about the role of the Pennsylvania Supreme Court in determining many House races in Pennsylvania, He and I both believe that that the court overstepped its constitutional role by usurping the legislature in drawing district boundaries. We both thought that Pennsylvania Republicans should hold impeachment hearings on this, and that if they do not, this court will move next to set educational funding rates at the state level for the Pennsylvania public schools. 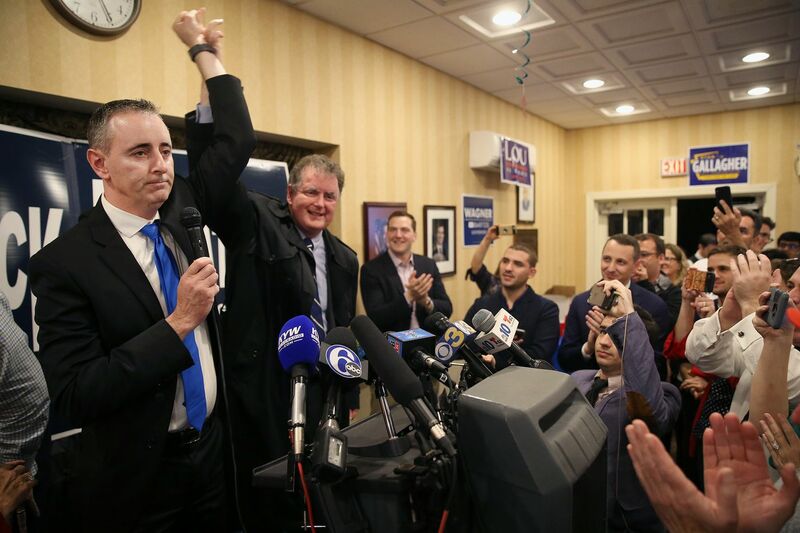 As far as the local battle between Democratic and Republican legislators, it's clear that this midterm election strengthened Democrats in the Philadelphia suburbs. Democrats have successfully taken over and solidified their hold over Montgomery County. They have made Chester County essentially a purple county and even made major inroads in Delaware County. However, they are still being held off in Bucks County. Pat Poprik, head of Bucks County Republicans, joined my show to talk about an open letter she sent out, noting a clear choice for voters in Bucks County. The essence of the letter said that a vote for Democratic candidates was a vote to bring Philadelphia values and policies to the suburbs. She referenced Philadelphia policies such as higher taxes, sanctuary cities, and supervised injection sites. Poprik even worked Mumia Abu Jamal into the conversation, given that some organizations that had been funded by Democratic congressional candidate Scott Wallace were huge supporters and advocates for Abu Jamal. I endorse this strategy. The story of the Philadelphia suburbs to me is one of people who left Philadelphia because of chaotic progressive policies that result in high crime, bad schools and dysfunctional government. These refugees to the suburbs, however, want to replicate the same policies in the surrounding counties. Over time, they will erode the quality of life of suburbia. I'm glad that Poprik and her party were able to make their case and maintain the seat of Republican Rep. Brian Fitzpatrick. Wallace was a guy who parachuted into Bucks with big bucks to spend. Though he did enliven the campaign by dropping an f-bomb during a debate in a synagogue. Across the river, voters did not reject a much more inappropriate figure than Wallace. Voters rejected moderate Republican Bob Hugin, deciding instead on Democratic Sen. Bob Menendez. This, even though New Jersey's leading news organization, NJ.com, told readers in its endorsement of his candidacy to "choke it down" and vote for Menendez. Even for New Jersey, this was hard to accept. What all this means going forward is that we will see in Washington a lot of gridlock. I think House Democrats will launch a huge number of investigations and will move for impeachment of Trump. I think, however, they will overplay their hand, and this will aid his re-election. As far as the Senate is concerned, the gains Republicans made allowed Trump to move swiftly to remove Jeff Sessions as attorney general. Trump might feel he has greatly increased his chances of getting a replacement candidate of his choice confirmed by the Senate. This new Senate will also be very important in the confirmation of judges at all levels. Finally, I was glad to see that during this cycle that no one in Philadelphia was triggered by the sight of Bibles in any polling places. In the May primaries, social media was aflame with reports of Bibles on tables near voting machines. There really was nothing biblical during this election season, but our civic life was restored by more people voting.